Zesty Things - Page 17 of 17 - Blogging Health, Fitness, Tech, & a little Conspiracy. Come waste some time with us! What Super Cool Job Fits Your Personality? Zesty Quiz: How Long Would You Survive a Zombie Apocalypse? Zesty Quiz: Which Figure From Greek Mythology Are You? 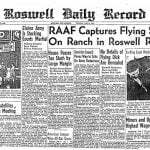 Zesty Quiz: Test Your Knowledge of the Roswell UFO Crash Zesty Quiz: What Crazy Way Will You Die? Hackers are constantly trying to steal our information, data, and financial info. Protecting yourself takes diligence, but it’s not as hard as you think. These 11 running tips for beginners are gold! How to go about getting the right running shoes & clothes to building distance and time.